What it does: Lightweight powder bronzer creates a natural-looking, sun-kissed radiance. Blends, builds easily to your desired level of bronze. Perfect for on-the-go glow. Long-wearing. Oil-free. Explore the entire range of Bronzer available on Nykaa. 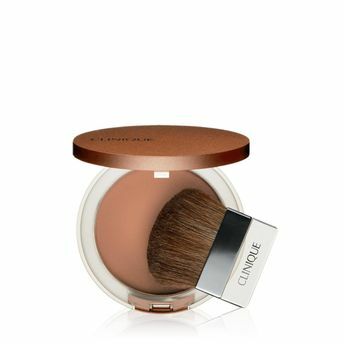 Shop more Clinique products here.You can browse through the complete world of Clinique Bronzer .Alternatively, you can also find many more products from the Clinique True Bronze Pressed Powder Bronzer range.